Mordecai recorded these events, and he sent letters to all the Jews throughout the provinces of King Xerxes, near and far, to have them celebrate annually… the time when the Jews got relief from their enemies, and… when their sorrow was turned into joy and their mourning into a day of celebration. He wrote them to observe the days as days of feasting and joy and giving presents of food to one another and gifts to the poor. A visit to the National Mall in Washington, D.C. is a testament to the significant power of memory. In the heart of the United States’ capital are numerous monuments dedicated to the memory of great historical figures – Lincoln, Washington, King and others – and significant human sorrows – World War II, the Vietnam War, the Holocaust. Standing in front of the impressive white marble statue of the great American president Abraham Lincoln, one cannot help but be overwhelmed with a sense of history that goes far beyond the memory of personal life experiences. Many of us have our own memorials in a prominent place in our home: the refrigerator door. There on that sleek magnetic surface, the faces of family and friends stare back at us from treasured moments that have come and gone. There, kindergarten artwork is treated like a rare, priceless Van Gogh. There we find notes and cards that remind us of the ones we love. At the conclusion of the story of Esther, her uncle Mordecai instructs the Jews to annually celebrate by remembering the attempted genocide and their escape from it. This inaugurates the Jewish Festival of Purim, a memorial of the time when sorrow turned to joy and mourning to celebration. 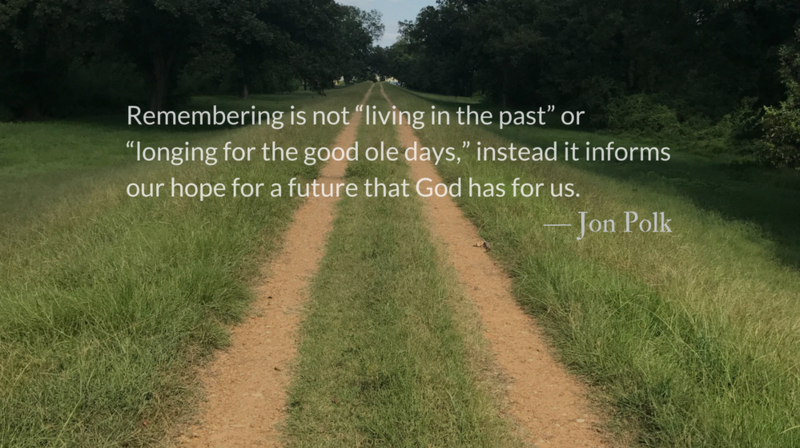 Remembering is not “living in the past” or “longing for the good ole days,” instead it informs our hope for a future that God has for us. At Purim, the Jews were to look back to the story of Esther and their deliverance in order to look forward to find a hope for their future. This remembering caused them to not only feast and celebrate, but also to give gifts to the poor. Memory of God’s favor on us should compel us to share that same grace with others. It is often noted that Esther is the one book in the Bible where God is not specifically mentioned. Reading the story with the benefit of hindsight reveals that God was indeed present and working behind the scenes. We would be wise to regularly recall God’s intervention and provision in our own lives, giving thanks and praise for how God has delivered us and cared for us, especially in those times when we may have not been able to immediately recognize his presence. What spiritual memories are we hanging on the refrigerator doors of our hearts that we look to regularly for hope and to say, “Thanks be to God”? When Xerxes asks “Who is he?” we sit in a satisfying dramatic tension. We can’t wait for the villain to be revealed. But the answer is not quite as clear cut as it may seem. We like to put Haman on a shelf with Hitler as punching bags from a bygone era. By their example we smugly speak of how far we have come. But our racism, just like Haman’s and the king’s, always claims to be about something else. It is rare that a person will admit, even to themselves, that they act out of racism directly. Racism always wears a mask. 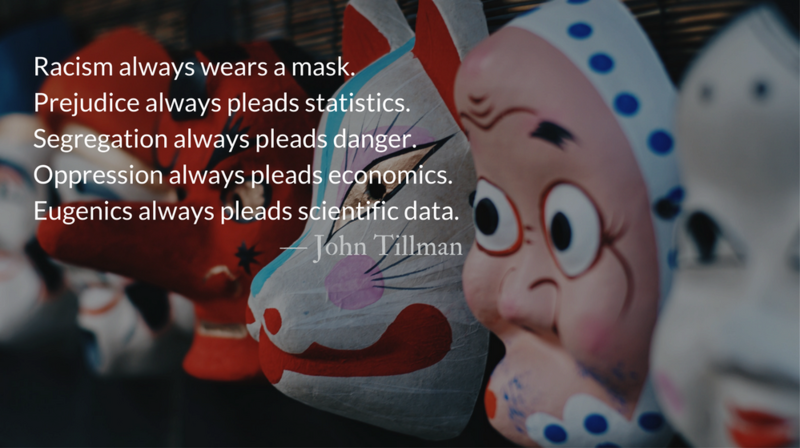 Prejudice always pleads statistics. Segregation always pleads danger. Oppression always pleads economics. Eugenics always pleads scientific data. Even if we are not like Haman, many of us are like Xerxes and like the government officials. We have allowed racism to rise wearing a mask decorated with other concerns. In our government. In our businesses. Even in our churches. Even if we have not acted directly against minorities, we have passively benefited from the actions of others who have. Putting ourselves in the shoes of King Xerxes, the best thing we can plead is ignorance and incompetence. And the best thing we can do is use our enormous power and privilege to aid those we previously ignored and to save those whose oppression we profit from. Racism is not just an individual crime or action, it is an unseen burden we are forced to carry by our culture and our history. The church was the first entity in history to directly attack racism and the Holy Spirit is the only way its burden can truly be put down. May we abandon our protestations of being innocent of racism. May we instead cling to Christ, whose Holy Spirit is the only hope and source of unity. God’s wrath is often framed as a response to offenses committed by men and women against God. In this framing, God is the one harmed and the one seeking vengeance. Moderns contemplating this view have a hard time reconciling it. God seems selfish, vindictive, petty, and small. It’s not that this framing of God’s wrath is inaccurate as much as it is woefully incomplete. The missing component is that God is wrathful not for what we have done to him directly, but for what we have done to each other. We can’t reach God to harm him and sin against him, so instead we attack God through harming and degrading others made in his image. 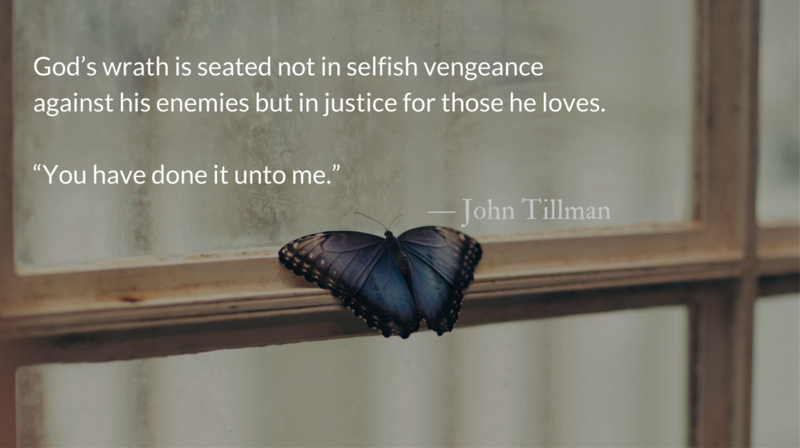 God’s wrath is seated not in selfish vengeance against his enemies but in justice for those he loves. Whether we help or harm others, Jesus steps into the interaction. He places himself into the bodies and the pain and the suffering of the people we harm every day—whether directly, indirectly, by our actions, or by our inactions. It is a shocking claim. As the #MeToo movement sweeps around the world, Jesus stands with the victims, claiming their pain as his own, identifying with their feelings of powerlessness, of isolation, and of being silenced for so long. 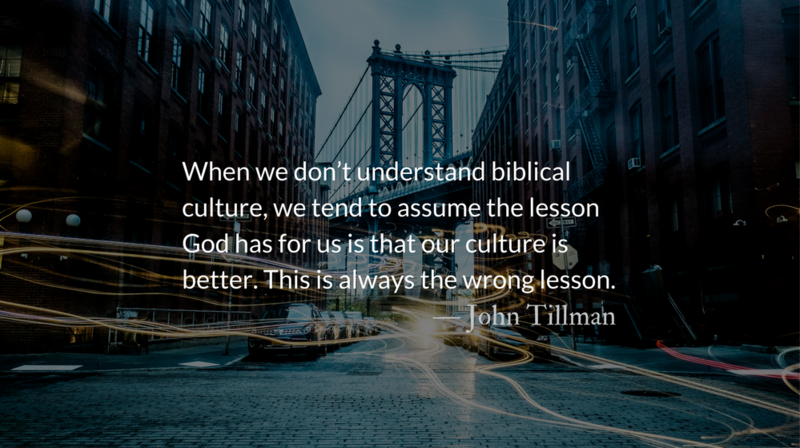 Christianity teaches that no matter what our lusts are, they are not outside of our control. Sexual behavior is under the control of our will and, therefore, regardless of state of mind, location, previous behavior, the influence of alcohol or drugs, or even the state of dress of another person, we are responsible that we not “wrong or take advantage of a brother or sister” in this matter. 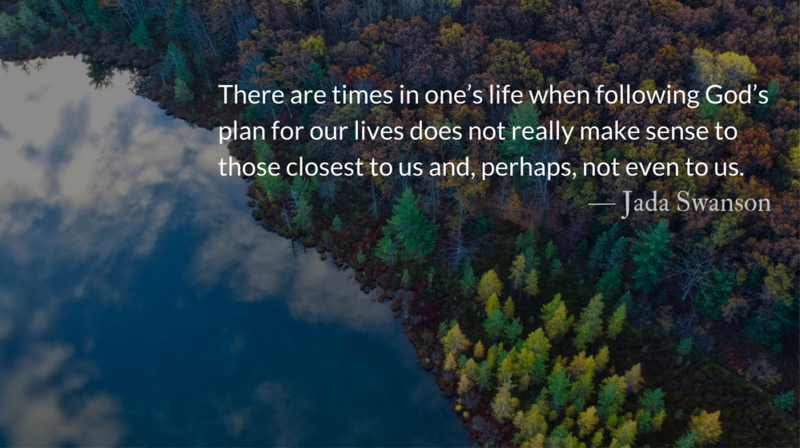 There are times in one’s life when following God’s plan for our lives does not really make sense to those closest to us and, perhaps, not even to us. Even still, God calls us to obedience during the dark and the daring moments of our lives. In his word, he has promised never to leave us or forsake us (Hebrews 13:5). In this passage, Esther finds herself facing a most important crossroads, which necessitates a response of faith, even at great personal risk. In each of our lives, there are times when God Almighty calls us to boldly speak out for and act on behalf of those who are marginalized and disenfranchised, the voiceless, and the invisible. Embracing his promptings as an act of obedience, even when it comes at great personal cost. This is leadership. John Wesley states, “We should every one of us consider, for what end God has put in the place where we are? And when an opportunity offers of serving God and our generation, we must take care not to let it slip” (Notes, 4:14). Leadership comes in many ways and takes on many forms. At its very core, leadership is influence. Although we may not hold positional roles of leadership, we all have very specific influential roles of leadership in our everyday lives. Have you taken notice of where they are? And with whom? Pray for God to reveal these opportunities to you. Pray for boldness and courage to step forward and speak out, to be of service to the Lord and His people. God has a plan and purpose for each of our lives. And in God’s view of time, there are no coincidences. As such, it was no coincidence that Esther, a Jew, was selected as queen. Neither is it a coincidence where we find ourselves at this very moment and on this very day. Be observant of those around you, of situations and circumstances. Take notice of how you may be the one appointed to take action, in seemingly small or significant ways. As God’s children, we know that he will accomplish his purposes and plans for this world. The beauty is that he invites us to take part…for such a time as this!